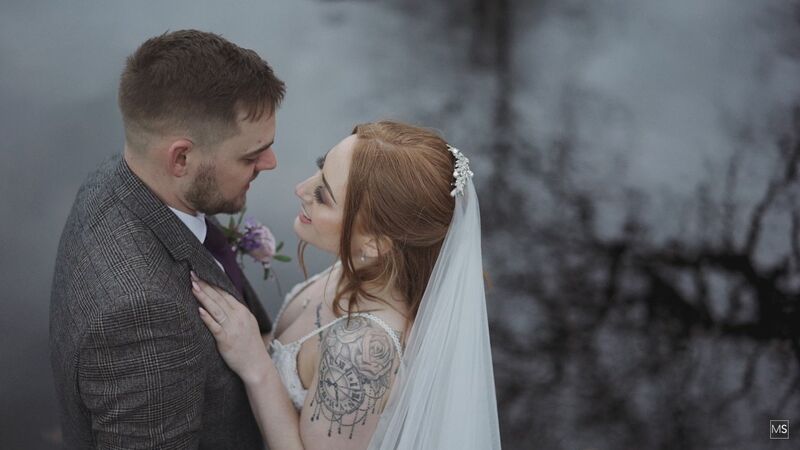 With 2019 now officially in full swing, it’s a perfect time to share my second wedding of the year. 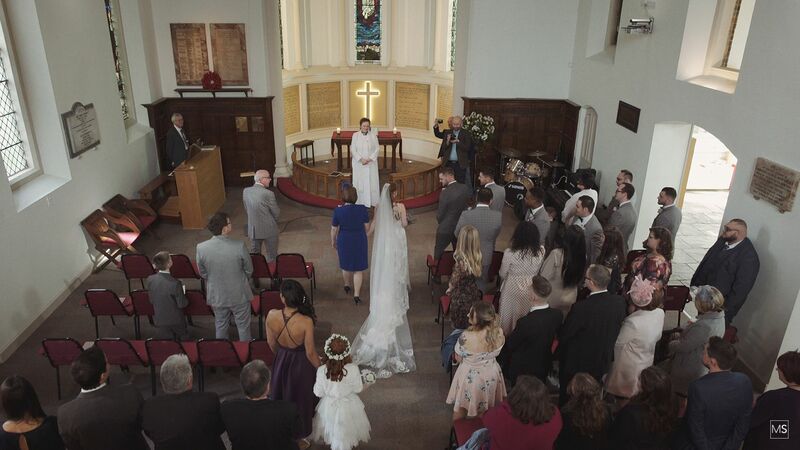 I had a little trip over to Hertfordshire for this wedding film and I can say now it was worth every mile and a sleep in a hotel to be a part of this corker of a wedding day! Emily and Jamie were married at St Marks Church in Colney Heath before heading over to the lovely Micklefield Hall. I arrived at Jamie’s mum’s house in Colney Heath pretty early in the morning to find more lads in one room than I think I have seen in some time! You could already start to see that Jamie was starting to get just a little nervous which of course is allowed it was his wedding day after all! 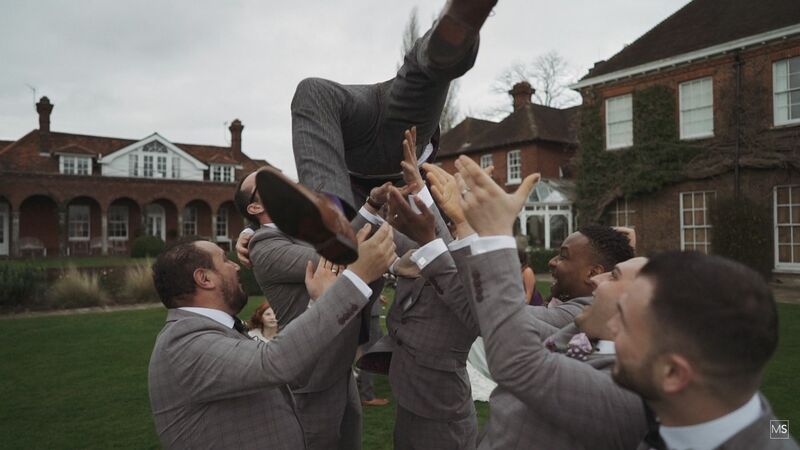 Groom prep filmed and it was over to Stevenage to find Emily and her girls. I had met the couple recently for their love story shoot (coming soon!) so it was lovely to catch up with the guys and see all their hard work come together. Now I have to be a bit selfish here and talk about me! I have always had it (pretty high up) on my bucket list to fly in a helicopter so when these two amazing people sat down and said they had arranged for me to join them up in a helicopter it goes beyond saying I was just a tad bit excited! 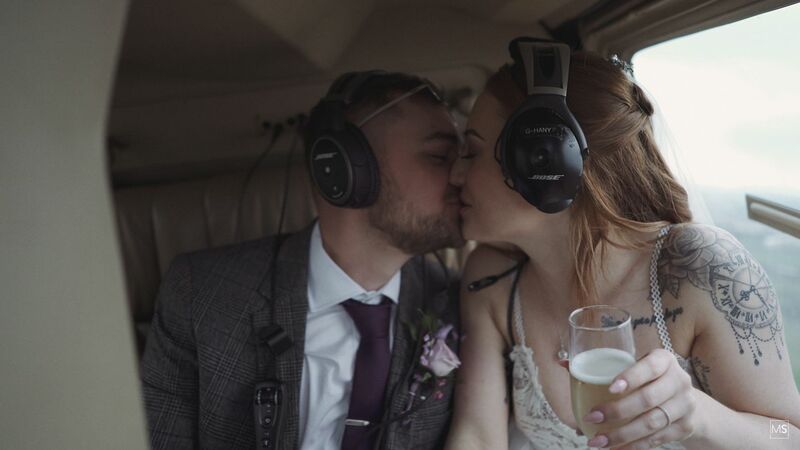 So after the couple had tied the knot they hopped onto a red double-decker bus (naturally) and headed to Micklefield Hall with their guests. Little did they know that the bus would be taking a short detour for the bride and groom to hop off and jump onto a slightly more powerful mode of transport. 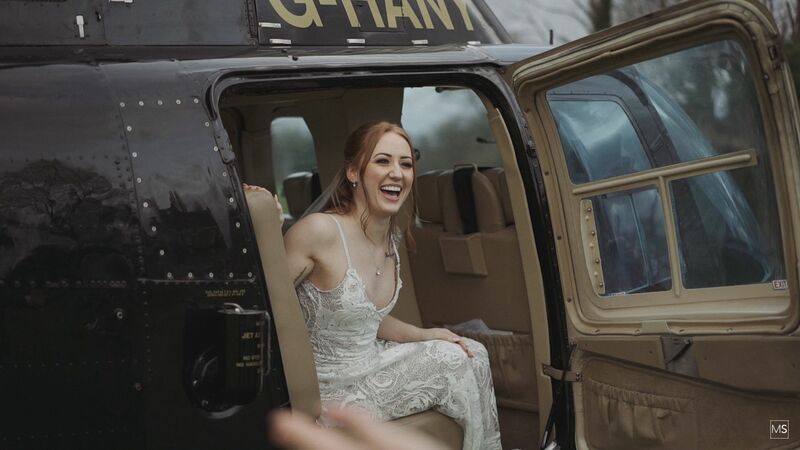 Once landed at their Hertfordshire Wedding Venue of Micklefield Hall I jumped in and headed up with the couple to capture some action and you could clearly see the bus arrive and the surprised guests looking up at the bride and groom! After a quick run through a pretty epic confetti line, it was time to take these two away for some couples time. Emily and Jamie smashed it and we captured some pretty epic wedding film then it was soon time to head in for what I must simply say was one of my favourite wedding breakfasts of all time! The incredible Kalm Kitchen produced something very very special for this lovely couple. 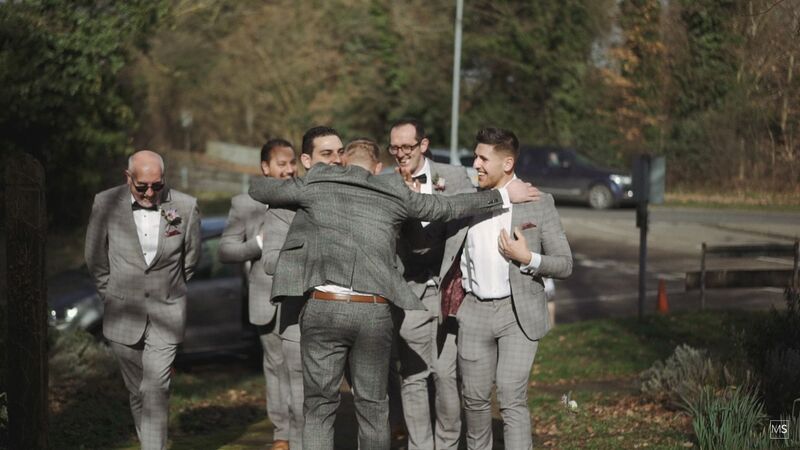 Thom (a fellow TWIA winner) was on guitar and kept the guests entertained and Gary Barber was the wedding photographer for the day, I really look forward to seeing what he captured on the day! 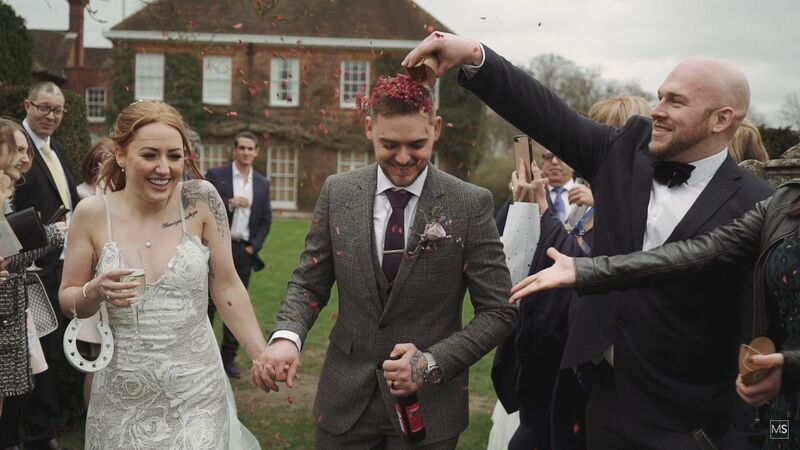 I absolutely loved filming these awesome people on the happiest day of their lives and I hope you enjoy their Wedding Film. It was a pleasure being your wedding videographer you pair of legends! Oh did I mention? 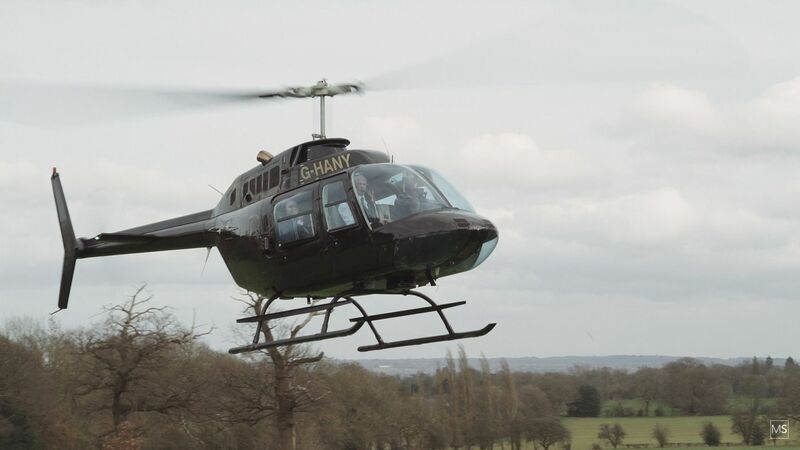 It’s Sixty Seconds of Awesome Time but this time with a Hertfordshire twist!